'Dancing' Elimination: Who Went Home? Gladys Knight and Tristan MacManus didn't make the cut. "Dancing with the Stars" wrapped up Motown Week on Tuesday, but one star's moves just weren't strong enough to get them through to another week in the ballroom. 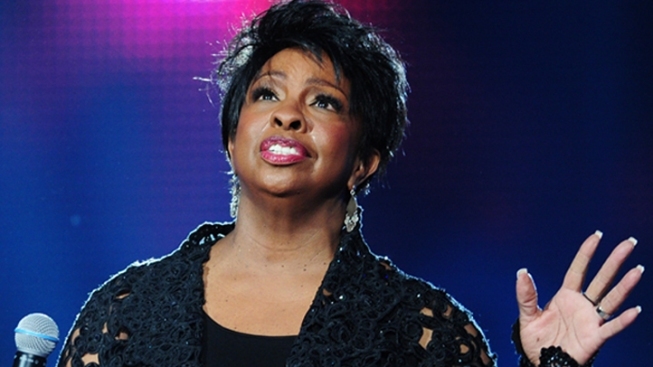 It was Motown legend Gladys Knight and her professional partner, Tristan MacManus, who were cut from the competition, after failing to impress in the Bottom 2 "dance-off" for the judges. "I am so amazed at this journey, it's been absolutely extraordinary," Gladys said, after learning she wouldn't be continuing on to Week 7. "I learned so many things, found so many friends… and I'm just overjoyed." In a clip package, rolled out after the "dance-off" result, Tristan admitted how close he'd gotten to the singing legend over their six-week competition journey. "I'll probably miss Gladys as much as I miss Ireland when I'm here and I really, really miss Ireland," he said. The soul singer and Tristan knew they were heading for the "dance-off" after landing at the bottom of the leaderboard on Monday, scoring just 24 points out of 40, and they squared off with Disney star Roshon Fegan and professional partner Chelsie Hightower at the end of Tuesday's show. Gladys and Tristan may have gotten the boot, but they didn't give up during their final number, pulling out all the moves they could, and impressing the judging panel. "Gladys, you dance like you sing – from your heart," judge Len Goodman said. But in the end, their moves couldn't put them on par with Roshon and Chelsie, who earned the votes of Len and Bruno Tonioli (Carrie Ann Inaba voted to keep Gladys and Tristan in). "Dancing with the Stars" returns on Monday at 8/7c on ABC. PLAY IT NOW: Is Gladys Knight Secretly Rooting For Jaleel White To Win 'Dancing'?